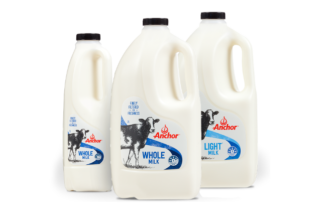 Anchor milk will soon be available to millions of people in Bangladesh with Fonterra signing a new distribution agreement. The agreement is with ACI Agrolink Limited, a division of ACI, one of Bangladesh’s largest conglomerates. ACI business interests include pharmaceuticals, consumer brands and agribusiness. In announcing the agreement, Fonterra said Bangladesh’s population has grown more than 10 per cent in the last 10 years and is now over 160 million people. Bangladesh accounts for more than two per cent of the world’s population. Fonterra Managing Director of Sri Lanka and Indian Subcontinent, Sunil Sethi, said Anchor is well placed to drive growth, while improving the wellbeing of Bangladeshis. “The Bangladesh market creates an exciting growth opportunity,” Sethi said. Oporto is now selling sweet premium sweet potato buns to accompany its burgers. McKenzie’s have launched two new soup kits in time for winter.